MicrosoftOneDrive is simultaneously a useful cloud storage and collaboration tool and a frustrating one. It is useful because if a user saves a file to OneDrive while logged into Windows 10 on one device, that file is automatically downloaded when he logs into Windows 10 on another device. The problem comes when the second device is low on space and automatic OneDrive downloads overload it. 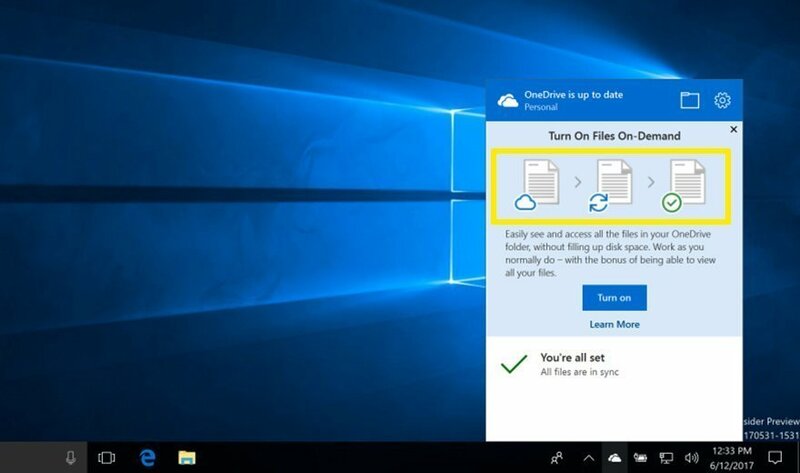 The Windows 10 Fall Creators Update makes that issue a thing of the past with OneDrive Files On-Demand, which allows the user or IT to prevent OneDrive from automatically downloading files from the Microsoft cloud to the user's device. The Fall Creators Update also changes the way online-only files work with OneDrive. Instead of having to launch a browser to access online-only files, users can now click a shortcut within OneDrive to access them. Users can download the online-only files to their devices by double-clicking on the shortcuts. They can make the files remain on the devices permanently by selecting Always Keep on this Device. If users want to make the files online-only again, they can do so by right-clicking the files and selecting Free Up Space. What security concerns does Microsoft OneDrive raise?